Duct Cleaning For Maximum Efficiency | ADVANPRO Ltd.
Do you find your home is dusty even after you’ve cleaned? Do you have pets? Does a member of your household suffer from allergies? Are you concerned about the quality of the air you breathe in your home every day? If any of these considerations resonate with you, then regular duct cleaning in Calgary is essential to you and your family’s well-being. 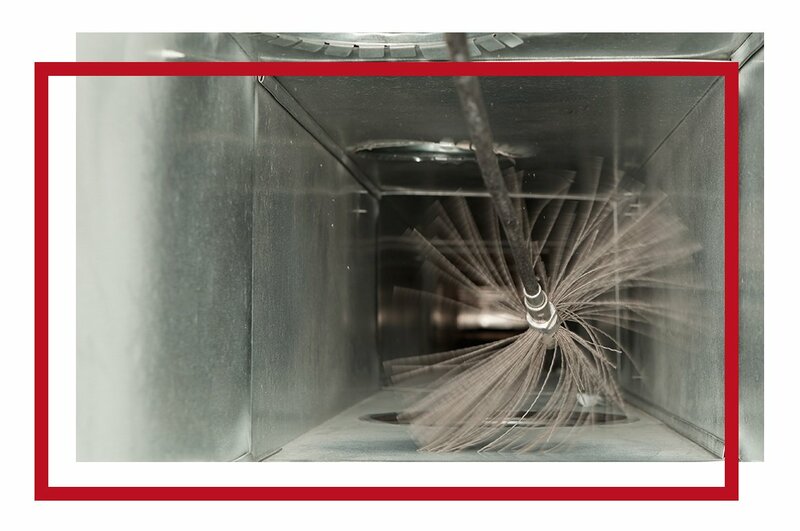 We provide straight forward and efficient duct cleaning services that effectively remove dust, dirt, animal hair, allergens and other pathogens that collect over time in your furnace and ducts. Duct Cleaning also ensures your furnace is operating at peak performance, as it was designed. Don’t forget about Dryer Vent cleaning! Breathe Clean Air and Save Money with an ADVANPRO Furnace and Duct Cleaning service. When you choose ADVANPRO to clean your furnace and ducts, you can rest assured that the job will be done correctly, with the best in class equipment. Our knowledgeable, highly trained and experienced technicians are equipped with the latest technology. We use only the top of the line truck mounted, high volume vacuums and compressors to service you best. Our goal is to keep your living environment comfortable and the air you breathe clean and fresh. WHAT ARE THE BENFITS OF CLEANING MY FURNACE AND DUCT SYSTEMS? Furnaces and ducts work to collect a variety of contaminants that have the potential to affect health, such as mold, fungi, bacteria, allergens, hair, dirt and dust. Regular cleaning of your furnace and ducts will improve the air quality in your home, leading to overall improved health of occupants. Not to mention, this can substantially reduce the amount of dusting and cleaning for your home. HOW DO I KNOW IF MY HVAC SYSTEM NEEDS CLEANING? In order for your HVAC system to operate at its peak we recommend you to clean your ducts annually. HOW MUCH DOES IT COST TO HAVE MY DUCTS CLEANED? ADVANPRO offers furnace and duct cleaning packages that cater specifically to your needs, starting at $149. We’ve earned our reputation as a leading provider of duct cleaning in Calgary by providing exceptional customer service along with fast and efficient work. Regularly having your furnace and ducts cleaned is the best way to eliminate allergens from the air you breathe, manage allergies, asthma and other medical conditions that affect your respiratory system. While you’re having your ducts cleaned, our professional service technicians can also provide peace of mind with preventative maintenance tune up to your furnace or air conditioner. Tune ups help to ensure your equipment is functioning at full capacity and efficiency. We’ll also flag any potential future issues before you’re left without heat or cooling. Breathe easy knowing that your Furnace is operating in at top performance this winter. If you think it’s time to upgrade your home comfort equipment, we also offer top quality, professional air conditioning installation and furnace installation by one of our experienced and licensed installers.